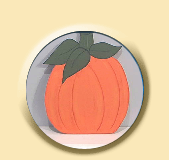 Welcome to Missy's Country Woodcrafts's online store. Discover unique yard decorations that you can place in your yard year round and that really last. Our family-owned-and-operated company has been producing wood yard decorations for people all over the country since 1993. No two decorations exactly the same, and each piece comes with all hardware needed for mounting in your yard. Use the category links on the sidebar to start shopping. Please feel free to contact us if you have questions about our products or if you are looking for something specific. Call us today at (573) 690-7933 or email us at mlmbarton@msn.com.